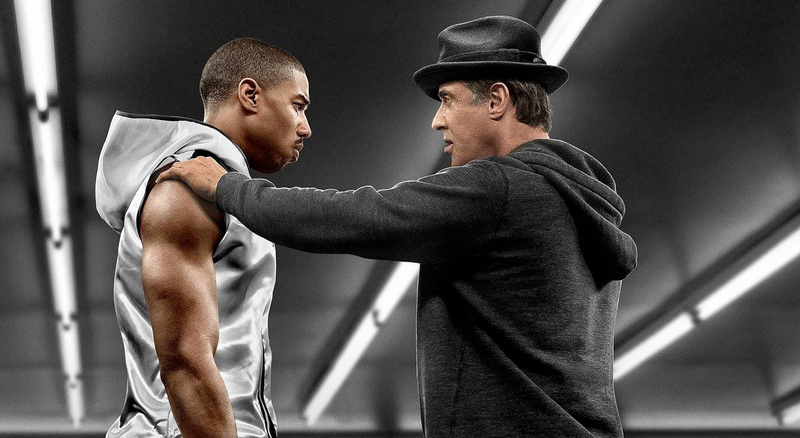 Creed, it is about heart, about love, about life, about you. For those how think that the Rocky series is about boxing, you are wrong. Plain and simple. For those who think it is about thugs or brutes, you are dead wrong. For those who think it is an action film you are totally missing the point. Sad how so many people miss the point, totally. It is about life, adversity, it is about fighting for life, it is about Spirit. To miss this you have to be lacking in spirit. Spirit. It is about personal victory because you refuse to give up. It is about love. It is about life. It is about going into the storm and coming up stronger. It is about being a human spirit. It is about Victory. It is about going to Hell and coming back stronger. It is about life and love. It is about working hard for what you want to become, not what you want to own. It is about being a mentor and about learning from those you are teaching. It is about realizing who you are and who you want to be. It is about fulfilling your potential, or destiny. It applies to all of us. It is about not being afraid to leave your comfort zone to reach your dream zone. It is about not always winning but never losing, never giving up, never quitting. "Its' not about how hard you can hit but about how hard you can get hit"
"How much can you take and keep moving forward, that's how winning is done. Now if you know what you are worth then bloody get what your worth, but you have to be willing to take the hits." Your toughest opponent is yourself. Do not blame anyone else for your failures. This film is fiction but the human spirit is not fiction. Once again the Rocky series rises above it all and makes the human spirit soar. Your greatest opponent is yourself!